Software testing can be defined as a kind of investigation conducted which works in providing stakeholders with relevant information regarding the quality of software products and services that are put to a test. It is also capable of providing a more independent and objective perspective of the software in order for a business organization to get a clearer idea about the risks linked to the implementation of the said software. When testing software, the techniques that are usually used include executing an application or program with an aim of detecting bugs, defects or errors. The software testing process is also designed to help in verifying and validating if the specific software application, program or product works as what everyone has expected, meets all the requirements that assist its development and design stages, greatly satisfies the requirements and needs of all stakeholders and can be conveniently and effectively implemented using similar characteristics. Software testing also refers to an activity which aims to evaluate the capability or attribute of a system or program and figure out if it is capable of meeting the required results. The level of difficulty involved in testing the software is fully dependent on how complex the software is. Software testing is also executed for a variety of purposes and these include estimation of reliability, validation and verification and quality assurance. It should also be noted that it comes with two major areas and these are reliability testing and correctness testing. The entire process can also be defined as an exchange between time, budget and quality. 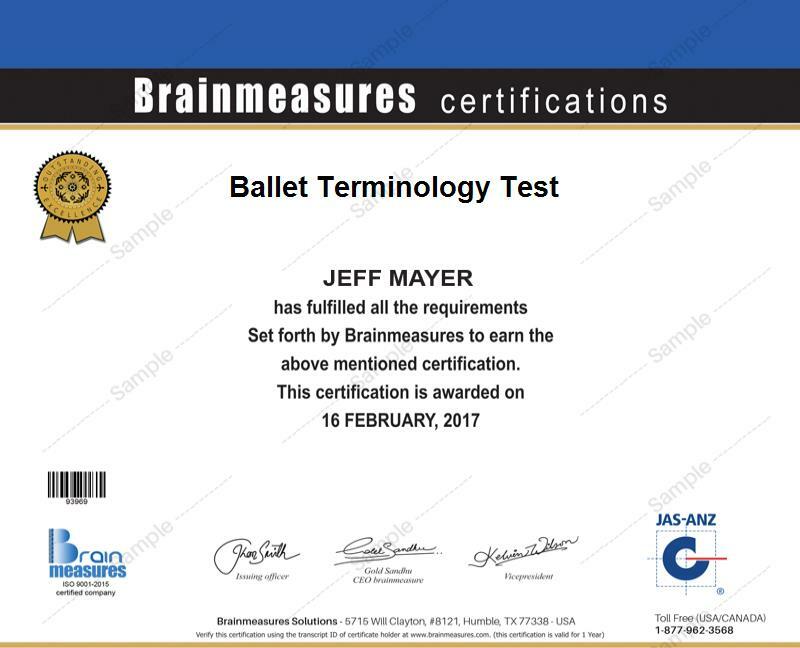 If you are one of the hundreds of people who want to become a certified software tester, then be aware that the software testing certification program which is now available at Brainmeasures can support this aim. Brainmeasures offers a very detailed software testing course designed to help you fully understand all the concepts and strategies linked to the process of effectively testing a software product, application or program. The kind of software testing training that you will receive from this online certification company is also very reliable, meaning the entire certification program is capable of providing you the highest level of information. With the help of the certification course, you will become more familiar about all the tools and methods used in software testing including white box testing, black box testing, grey box testing and visual testing. The software testing exam which was developed by the experts in Brainmeasures also aims to assess the level of your knowledge about the subject and your worthiness in receiving the certificate. It is no longer undeniable that the software testing certification program which is now offered by Brainmeasures to anyone who is interested is capable of benefiting a wide array of individuals and professionals working in different industries. It is a good choice for those who wish to understand the basic principles linked to software testing and the procedures involved in using the principles when it comes to producing a better and faster software, for professionals who wish to gather information about all the strategies that can work in improving the way they test software programs, developers who are planning to improve the software that they have developed and managers who want to make sure that they formulate the soundest decisions when it comes to hiring and promoting testers and buying tools for testing. The salary received by software testing certification holders vary from one company to another. It is also dependent on the kind of position that you hold. In the US, the annual salary usually received by certified software testers is around $45,000 to $78,000. Health insurance, gratuity, bonuses and any other monetary benefits are also provided to them.